The new lineup of ELUVEITIE will make its live debut at the Eluveitie & Friends festival, set to take place January 6-7 at Z7 in Pratteln, Switzerland. The band states: "Above all we're super happy and thankful that we're complete again (even more than complete, actually) and given the chance to have such gifted musicians on board! "What could be a better start into a new year? 2017 is our year! "We cannot wait to enter the studios soon and finish 'Evocation II'. And right afterwards we'll be back with full force to rock the summer festival stages." 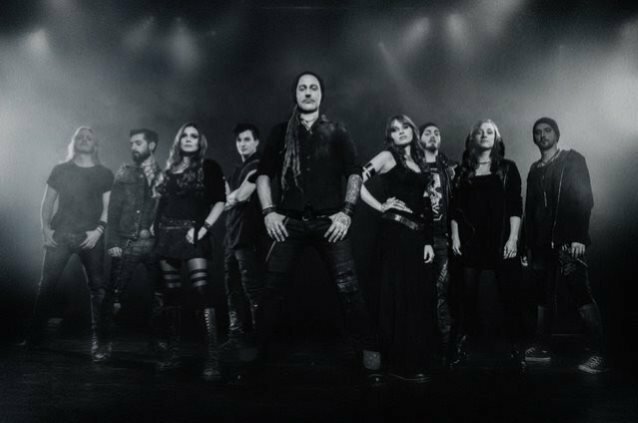 "Evocation II" is the long-awaited second part of ELUVEITIE's acoustic concept effort "Evocation". The band's latest album, "Origins", was released in August 2014 via Nuclear Blast Records. The effort was once again recorded at New Sound Studio in Pfäffikon, a municipality in the canton of Zurich in Switzerland, with producer Tommy Vetterli (a.k.a. Tommy T. Baron; CORONER/ex-KREATOR guitarist).